Visit Stewart Brown in the Expert Advice section to get your questions answered. With candid and insightful input from experts in college athletics, college counseling, high school guidance, athletic training, and strength and conditioning fields, you will be prepared to achieve your dream and succeed as a college student-athlete. “Stewart Brown has used his knowledge and experience to help you make a very difficult decision much easier. 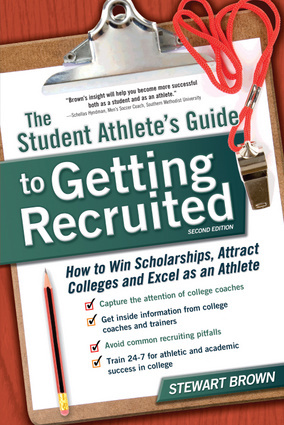 This book is designed to help anyone who is interested in competing in college athletics. Brown’s insight will help you become more successful both as a student and as an athlete."